"I drew back from the whirling vortex that had opened, the drowning pool." I'm waiting for my copy of Antonio Hill's The Good Suicides to get here, so while it's traveling my way, I picked this book at random from my home crime library. 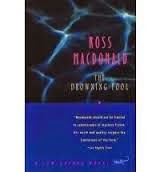 The Drowning Pool is Ross Macdonald's second book in his Lew Archer series, but it's my first foray into this author's work. [As an aside, for some reason I thought this one was the first, so since I find it positively anathema to start a series with any other book but the first in the series, I bought the opener The Moving Target as soon as I realized my error. Just haven't read it yet.] I think that Archer is a guy I will enjoy reading more about. With eighteen series novels and two short story collections, there's a lot about this world-weary gumshoe to explore. Lew Archer is called upon to investigate an anonymous poison pen letter sent to his client, Maude Slocum. Maude's beyond worried about her mother-in-law, Olivia, finding any more letters that might be sent, since she, her husband James, and their daughter Cathy are reliant upon Olivia's financial support and live in her house. Archer's been given very little to go on, but he wangles an invitation to a party at Mrs. Slocum's house, allowing him to size up both the situation and the people who attend, one of whom just might be the letter writer. When he decides to call it quits for the night, he takes himself and a fellow passenger he's picked up near the house down to a bar in an oil-rich California town called Nopal Valley, only to be picked up as part of a murder investigation into Olivia's untimely death in the backyard swimming pool. As it turns out, Archer was the last to see her alive, so the police really want to talk to him. 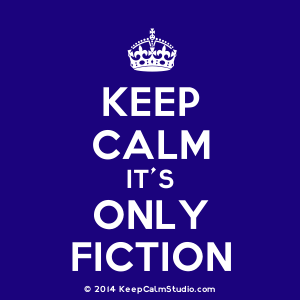 But Olivia's death is merely the tip of this iceberg of a case, and as Archer soon discovers, only the beginning of a number of deaths that ensue as he doggedly tries to get to the truth. "They had jerrybuilt the beaches from San Diego to the Golden Gate, bulldozed superhighways through the mountains, cut down a thousand years of redwood growth, and built an urban wilderness in the desert." Oil derricks are also now becoming as commonplace as telephone poles. "Truth interests me, though. Not general truth if there is any, but the truth of particular things. Who did what when why." and in this book, his need to get to the "truth of particular things" lands him hot water more than once, but he never stops looking until the end. Speaking of the end, I'm not so sure it's the best ending this book could have had, but as Archer himself notes, "The happy endings and the biggest oranges were the ones that California saved for export." I love discovering "new" authors, and I liked The Drowning Pool enough to merit another go at Macdonald. The plot is heavy and convoluted, but well worth it in the long run. Recommended mainly to readers of hard-boiled fiction, but people looking to connect with classic American crime fiction will like this one as well.